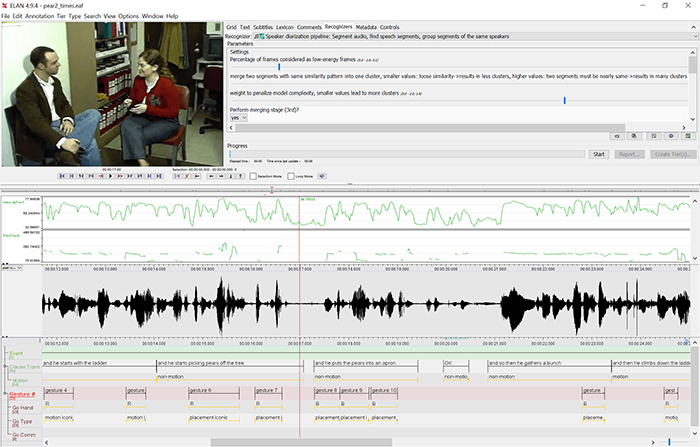 Elan is a transcription tool that allows you to enter a transcript that it then timecodes against the original media (audio or video). This allows you to build a set of transcripts (a corpus) that you can search and resolve to hear the media associated with the text you retrieve. This is a free tool that needs you to have some training and we will provide that introduction in this 3 hour course. If you want to attend the training please bring a laptop and have Elan and Simple Elan loaded, both available from The Language Archive.